Right-to-Know Safety Tags come in durable, write-on plastic and self-laminating plastic.The self-laminating flap protects your written information from local chemicals, water, dirt and grease. 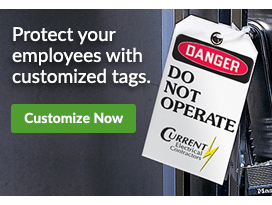 Right-to-Know Safety Tags measure 3-1/4"W X 5-5/8"H and come with FREE nylon ties. Sold in packages of 5. Caution watch for forklifts safety cone kits provide everything you need to set up a 40 ft. barricade. Workers throughout the United States rely on Right-to-Know & HazCom Tags top tell them the type and danger level of the chemicals that they work with everyday. Right-to-Know & HazCom Tags are mandated by OSHA and must accompany hazardous chemicals in storage and other places. Tags include: Chemical Hazard Tags - Right to Know (3-1/4 x 5-5/8), Chemical Hazard Tags - Chemical Hazard Alert, Chemical Hazard Tags - Chemical Specific Hazard Alert and others.